As a new investor, how should I decide which mutual funds to buy? At times you might feel the confusion to choose among the mutual funds to invest in. But once you start learning, looking at just a few factors could help you in choosing good mutual funds. Just a few simple things and your investment are sorted. Are you planning to increase your wealth by investing? Being new to the investment you might feel it is tricky and confusing. At times you might feel the confusion to choose among the mutual funds to invest in. But once you start learning, looking at just a few factors could help you in choosing good mutual funds. Just a few simple things and your investment are sorted. So being a newbie, just try to learn and grasp market knowledge. 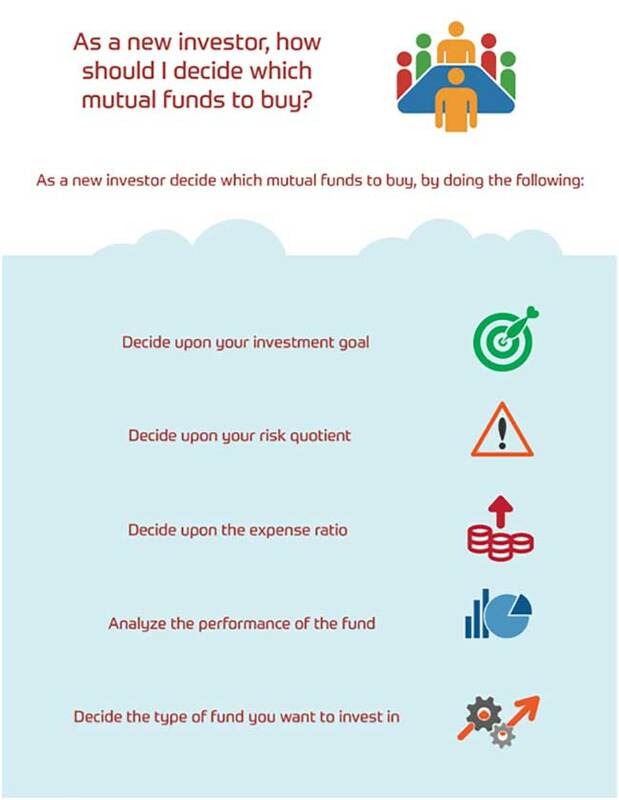 To start with keep in your mind the following few points which would help you in deciding upon the mutual funds to buy. Decide upon your investment goal: To start with anything it is the first step to determine the goals and objective. So before investing work on listing your requirements because what might work for one, might not work for another. Goals could be either long term or short term. Goal oriented investments keep you on track saving you from any kinds of deviation. Decide upon your risk quotient: Risk appetite is an important factor. You must analyze how much risk you can afford to bear. As both, the risk and return go hand in hand. You must work on the risk appetite so as to have an estimate of your expected returns. If you expect a higher return in a shorter span of time then the risk associated with it would be larger and you must be ready to bear it. Accordingly, you can choose which mutual funds to invest in. Decide upon the expense ratio: Expense ratio can be better explained in the layman’s language as the ratio of the amount you would want to invest in different stocks in the portfolio within the fund. This is important because you might not be as keen to invest in one type of stocks as compared to others. So this distribution of amount across the portfolio must be analyzed thoroughly on different parameters before you actually start investing. Analyze the performance of the fund: Before buying any mutual fund it is important to keep your analysis and research to the point. Look for the history of the fund, its past performance. Sometimes when even the past performance cannot effectively depict the future look for the future action plans, keep yourself updated with the market news. Have sound research about the business, competitors, market movements, upcoming projects to get a clearer big picture. Equity funds:Equity funds are the mutual funds mainly investing in the stocks. These are meant for long-term risk seekers. Equity funds are further classified as Large-cap, mid-cap, and small-cap. 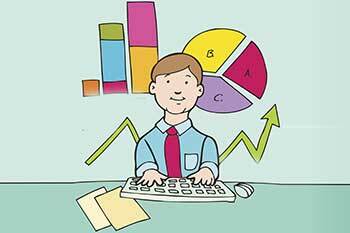 Look for the company facts before choosing the stocks for Equity funds. Large caps are least risky among the equity funds. These tend to give a stable return when the market slumps. Small-caps remain the riskiest among all the equity funds which give very high returns during a market rally. Debt Funds: Debt funds invest in fixed interest assets. These mainly invest in commercial papers, FDs (Fixed Deposits), bonds etc. They have a low-risk quotient and thus the returns remain fixed and generally low as compared to other types of funds. Hybrid funds: Hybrid funds have a mixture of both the above. These invest in both the equity and debt assets. It maintains a moderate risk quotient while trying to strike the right balance to get optimum returns in a moderate risk. Hybrid funds help in maintaining a stable risk profile of the portfolio. Being a first timer it is always better to draft a good strategy with well-defined goals and objectives. You must have a clear idea about the time horizon and the risk appetite. Based on these you can choose the type of fund you need to buy and the portfolio you want to build under it. Moreover, a good fund manager always remains a requirement to invest in funds. So analyze carefully and make your move. Happy investing!